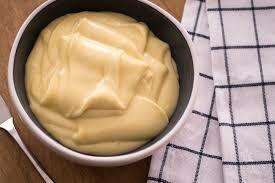 While store-bought mayonnaise is perfectly fine on its own, nothing beats the real deal in its simplicity. You may have read the label in one only to find that it lists as many as ten different ingredients, including things such as glucose-fructose syrup, or even coloring. In reality, there should only be three ingredients to make everyone’s favorite emulsion: eggs, oil, and vinegar. However, there’s good news. 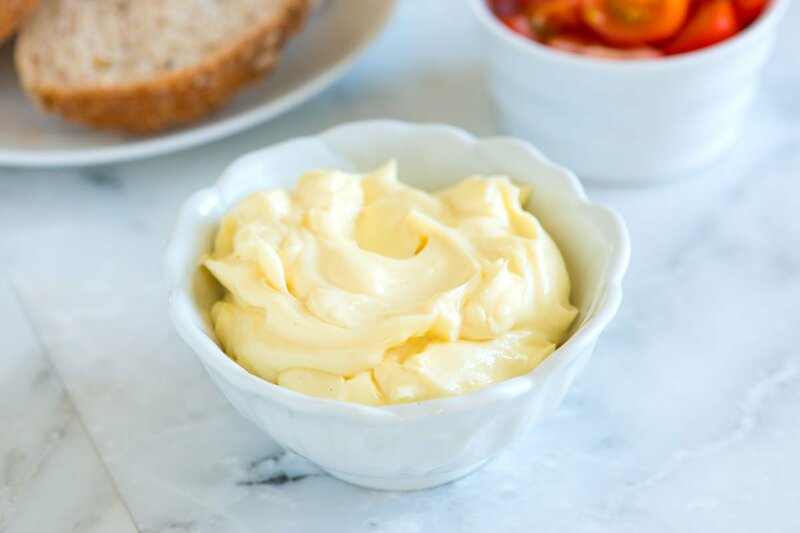 Homemade mayonnaise is surprisingly easy to make and prepare, and has a lot of delicious applications, from salad dressings for staying healthy, to a savory dip for deep-fried foods for a perfect afternoon snack. Since homemade mayonnaise doesn’t require any cooking, the process shouldn’t take too long. 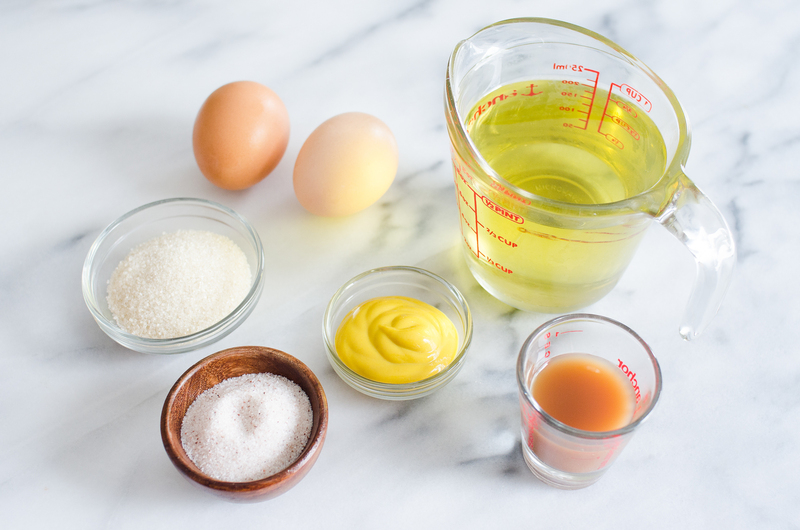 With the right ingredients – egg yolk/s, vinegar, and oil – you can make your very own condiment that you can mix with other condiments and spices to suit your taste. Step 1. Combine the egg yolk/s and vinegar in a container and mix them until light and creamy. Alternatively, you can use a hand whisk, an electric hand mixer, or even mix the two in a blender until you achieve the said consistency. Step 2. Continue mixing the egg yolks and vinegar. This time, slowly introduce the oil as you mix. The resulting mixture should be thick and pale. Note: Keep in mind that adding the oil into the mix is much trickier than what a lot of cooking tutorials make it out to look like. This is why you should only add a few drops in the first few minutes of mixing. If the mixture doesn’t turn out as it should, start the previous steps again in a clean bowl. Step 3. If you have a knack for introducing different flavors into your condiments, now is the time to add the other spices into your mayonnaise. Roasted garlic is a must for mouth-watering aioli, tomato sauce will yield a delicious seafood sauce, and a delicious Caesar salad dressing will obviously call for Worcestershire sauce and anchovies. Note: If you’re unfamiliar with making Caesar salad dressing and are suspicious about adding anchovies into the mix, don’t worry. They’re not there to make your dressing taste like fish – they’re there to bring out the nice umami flavor that will make your Caesar salad to die for. Step 4. Continue to mix while adding the spices. Once the mixture now appears white and creamy, season with a pinch of salt or pepper to taste and leave in the fridge to chill for an hour or two before serving. For best results, be sure to use warm wine vinegar or cold lemon juice. While you may think that any temperature of the liquid will help you achieve the results you want, the truth is that temperature can affect the flavor depending on your taste. Located at Pacific Plaza, 9 Scotts Road #01-04/05/06/07 228210 Singapore. Now we’re guessing everyone knows the legend of the Michelin Star winning eatery but then again, it is a story worth repeating. 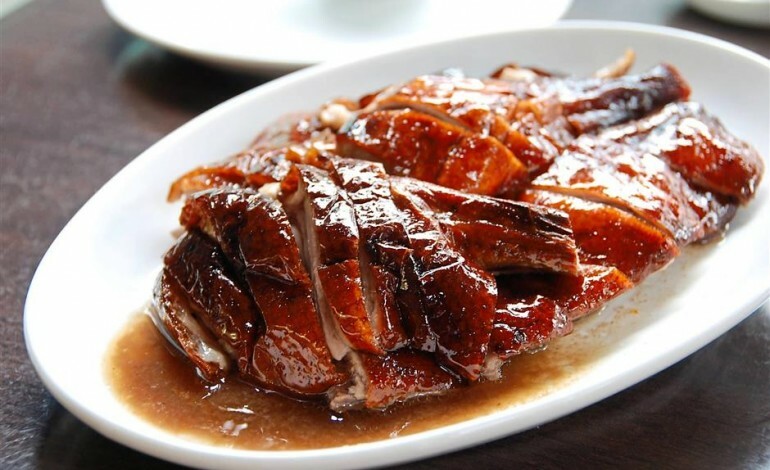 Such an esteemed place where it’s history has greatly impacted the course of food around the world by paying homage and honoring Mr. Kam Shui Fai who contributed the amazing roasted goose to the world in 1942. Now talk about history, not only does this place play a huge role in food today, it also had an influence in one of the greatest dishes invented. Anyway, let’s talk more about the place. Obviously if you’ve went to this place, you’ll know that the name of this place is called Kam’s Roast Goose which is once again named after Mr. Kam Shui Fai. Maybe the reason why this place is extremely popular or maybe why you know about this place is because of the fact that it won a Michelin Star just months after it opened. Now, this couldn’t have been possible without the chef. Chef Wong Kwan Sang is responsible for the success of the restaurant as he has seen to it that the quality and presentation of each dish is done with the utmost standards making sure that every dish that leaves the kitchen is superb. Chef Wong Kwan Sang worked four decades at Yung Kee before leaving the restaurant to become head of the kitchen at Kam’s Roast. Those four decades of training really pulled off. In October of 2017, he finally moved to Singapore permanently to head the kitchen as he was only training the team before that decision. Now the thing with Michelin Star restaurants is that you expect a great deal of outrageously amazing flavors that should come out of their food. Well, let’s take a look at their roasted duck. 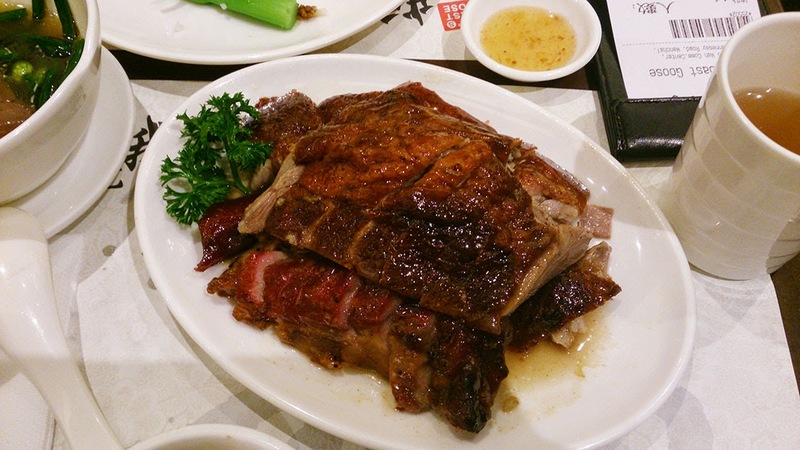 Although the meat is superb, it isn’t much elevated from the roasted duck you could get at your local hawker center. 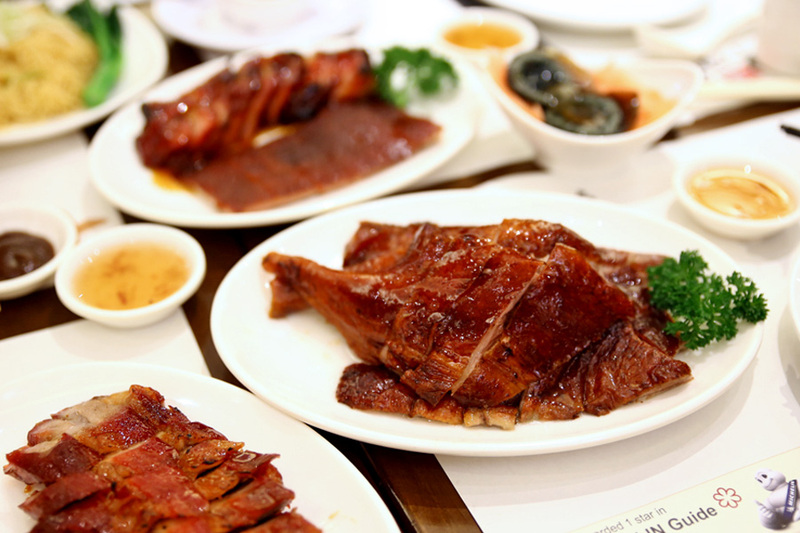 The thing that makes their duck stand out is their marinated soy beans and their special sauce. Although as expected they wouldn’t give any details about their recipe, all we know is that it takes five hours to cook the soy beans alone which is why not many restaurants do this. Food plays a great part in our lives and to be able to a experience such amazing food is something we shouldn’t pass on. The opportunity to taste such rich and amazing food is something we must try at least once in our lives. The story behind Kam’s Roast Goose is an amazing story but what is even more amazing is their food. As all restaurants would say, let the food speak for itself.